The human CD56 antigen is a glycoprotein of the Ig superfamily, which is also known as neural cell adhesion molecule (NCAM). 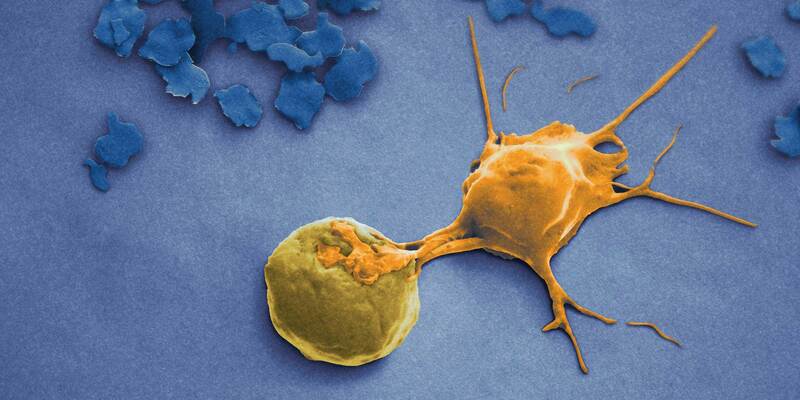 CD56 is expressed on practically all resting and activated NK cells and on a minor subset of CD3+ T cells in the blood. Expression of CD56 is also found in brain (cerebellum and cortex) and at neuromuscular junctions. Certain large granular lymphocyte (LGL) leukemias, small-cell lung carcinomas, neuronal-derived tumors, myelomas, and myeloid leukemias also express CD56. Recombinantly generated under standardized in vitro culture conditions. Recombinant antibodies are highly recommended to achieve scientific reproducibility and consistency. Genetically engineered Fc region abolishes any background binding to FcyR. Optimized conjugation chemistry leads to enhanced brightness and stain index in flow cytometry analysis. 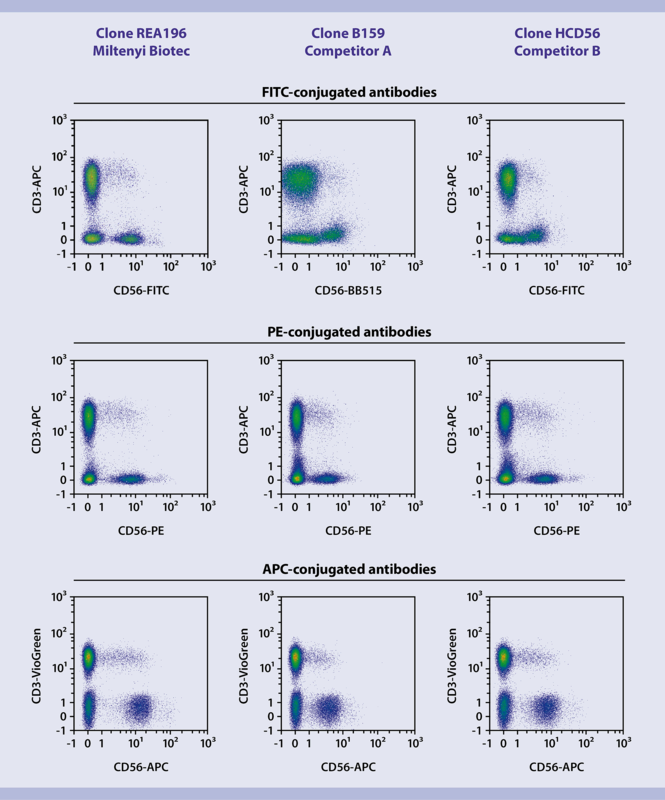 The fluorochrome-conjugated CD56 antibody clones were tested in human PBMCs on a MACSQuant® Analyzer 10. 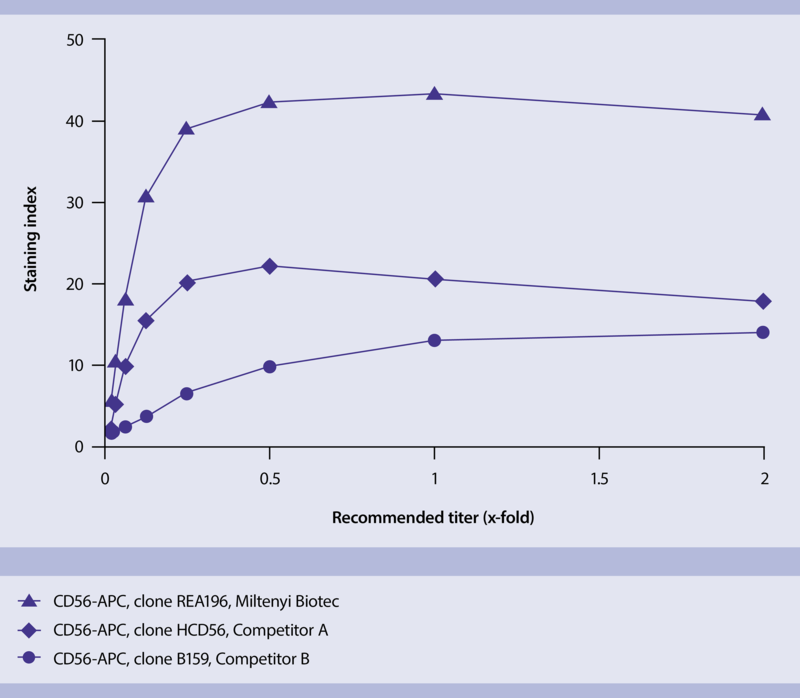 Clone REA196 was compared with two different commercially available antibodies (clone HCD56 and B159). The diagram shows the stain indices of human PBMCs stained at various concentrations of the recommended titer.